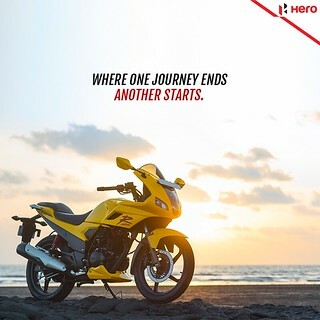 On Two Wheels with Hero MotoCorp! 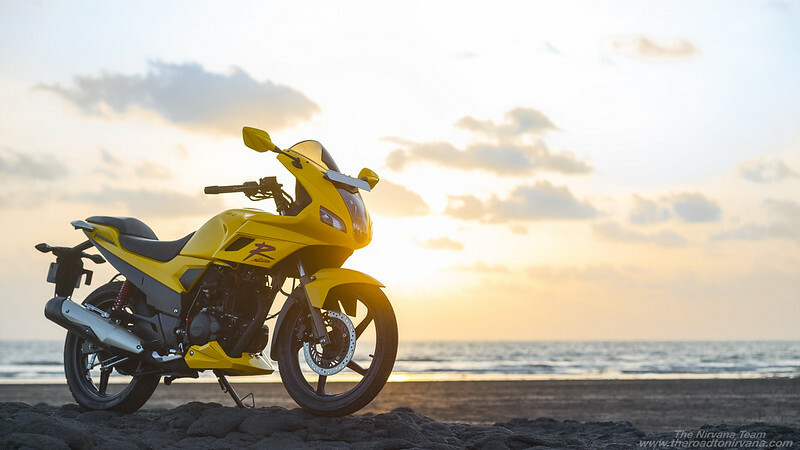 Twenty motorcycles were on their way to us while we huddled and belted out one concept after another, tailored to each individual product according to its placement on the Indian market. We at TheNirvanaTeam never shy away from challenges. Whether it be taking the right risks to get our clients the visuals they deserve or going beyond the boundary set by industries in exploring unique creative possibilities, whatever it may be – we are ready. 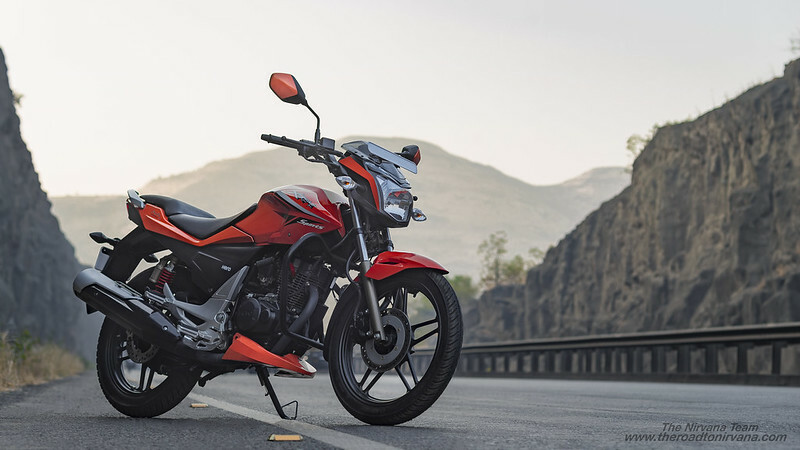 The worlds largest two wheeler manufacturer told us they wanted our boys and girls to design and execute productions for each and every product they made. Every single two wheeler in their portfolio, yes. Let that sink in. We’ve shot everything from supercars to superbikes but the sheer scale of this photo-shoot was a force to be reckoned with. All the while, our team maintained constant cohesion with our client and with Dir. Nipun Srivastava in the lead, we were soon ready for the mammoth photo-shoot as the motorcycles arrived at our studio in Pune. Bear in mind, this was not to be a simple exercise executed within the comfortable surrounds of our studio. This was to be a fully location based exercise with a unique location chosen for each two wheeled product that we were about to shoot. As it often happens, all the planning in the world can still not prepare one for the challenges the proverbial open road holds. In early February of 2017, after a solid two months of rock solid planning, scouting and resource allocation we had already endured some serious challenges, unexpected hurdles and managed to swiftly accommodate any new changes that were expected of us professionally. Demonetization in India had come and gone, moreover, pollution norms in the country were set to change. Our photo-shoot, its time-line and most of our planning were thrown out of whack right when we thought we were ready to start production! In the face of mounting logistical odds, professional challenges and uncertain production dynamics, our team’s unwavering resolve and sheer dedication to our work really shone. 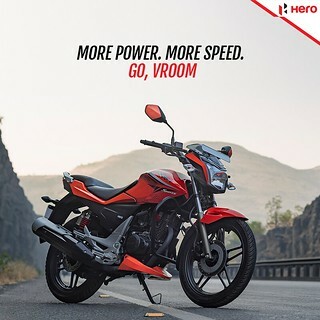 TheNirvanaTeam was up to every task, surmounted every challenge small or big with an extremely lean production team to produce the results you will now be able to see here and probably have seen on Hero MotoCorp’s Social Media Channels in the recent past. 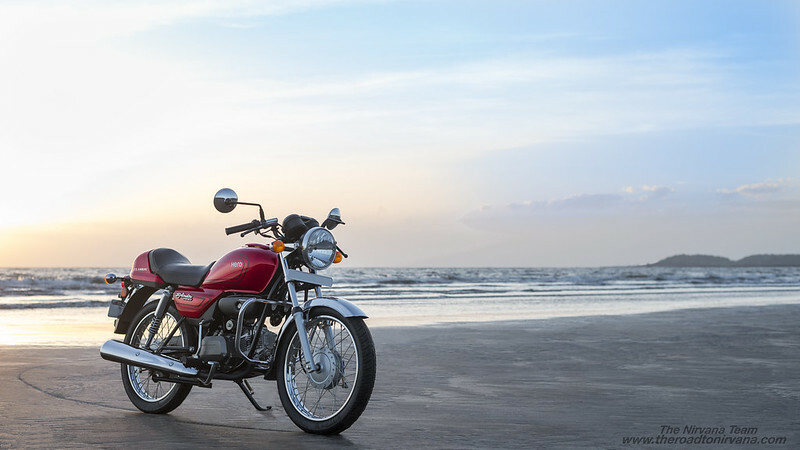 Here’s a look at some of the images we produced and also how Hero MotoCorp used images produced on this mammoth Photo-shoot. Starting off! We hit the beach in our signature Nirvana style! Shooting the Splendor Pro Classic for Hero was a lot of fun as we got onto the beach waaay to early and spent our time dodging the tide again and again! Trying various points of views, playing with ample natural light, et al! Finally, a little after sunset, we had all our shots! 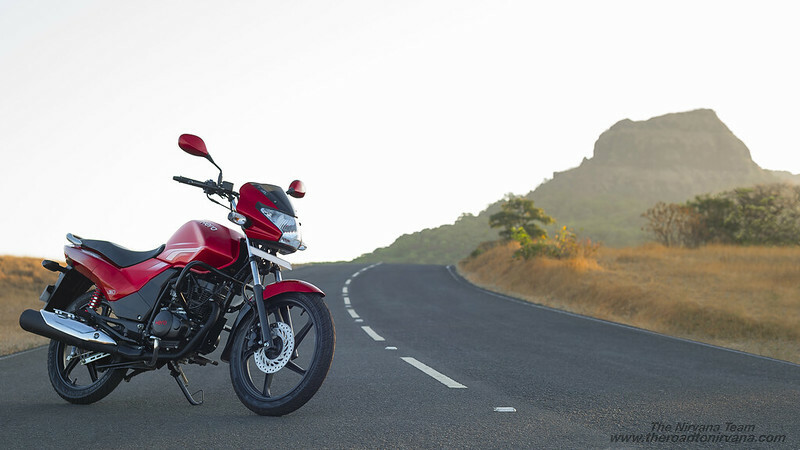 We took the Achiever 150 up a winding road early on the morning of the shoot. 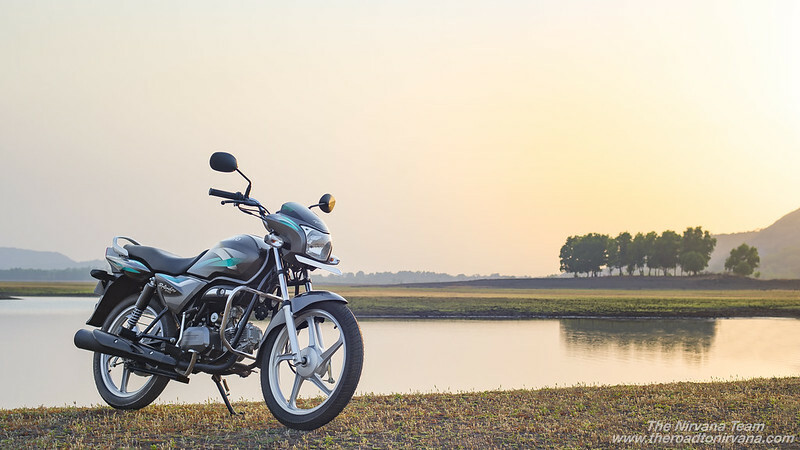 Freakish cold, smooth roads, whistling winds and a mind blowing Sunrise made for the perfect set of pictures for this motorcycle from Hero MotoCorp! Hitting the highway with the Xtreme Sports motorcycle was a little tricky as our timing had to be just right. We needed perfect light on the road that ran through a narrow gorge, traffic had to be managed and the photography had to be executed – all in tandem! We did it! 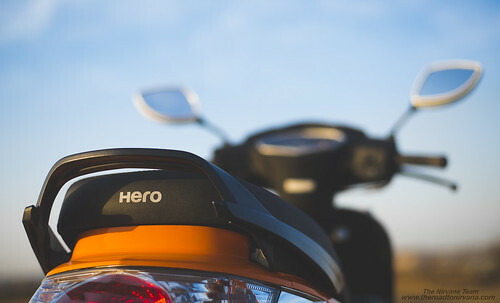 On the Hero Pleasure, a surprisingly zippy little scooter, we found ourselves at a unique location. An unmarked patch of undulating roads, smooth as butter, surrounded with burned down dry grass on either side of the road welcomed us with the sun setting just behind giving us perfect light. And then we got a shot that was just right! For the Splendor iSmart 110, we drove through a wooded forest extremely early on the morning of our shoot. Prepping the bike in the nick of time, just before the sun shone through the leafless trees in the background, we got our shot on this day. One of our absolute favourites, this! The Hero Hunk was taken off road and onto a rocky outcrop atop a small mountain range. We had a tough time finding the right location for this one before the final shoot, as we wanted a rugged feel and perfect sunlight gracing the image. 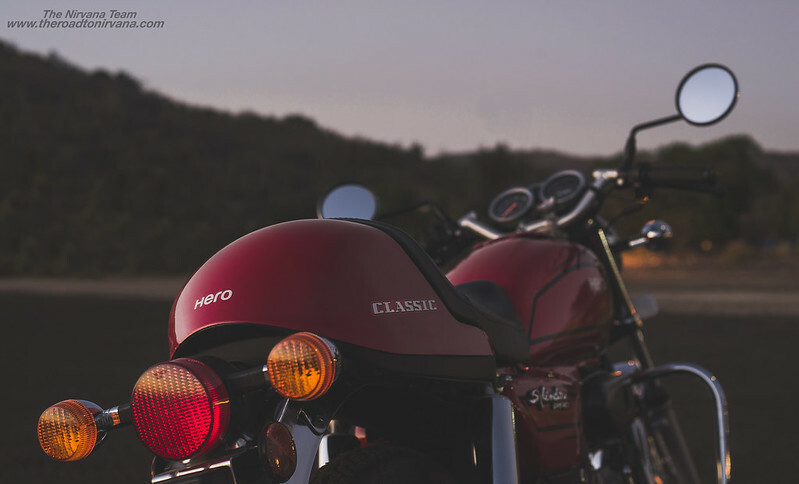 A few faintly visible mountains in the background help complete the look we envisioned for this motorcycle! 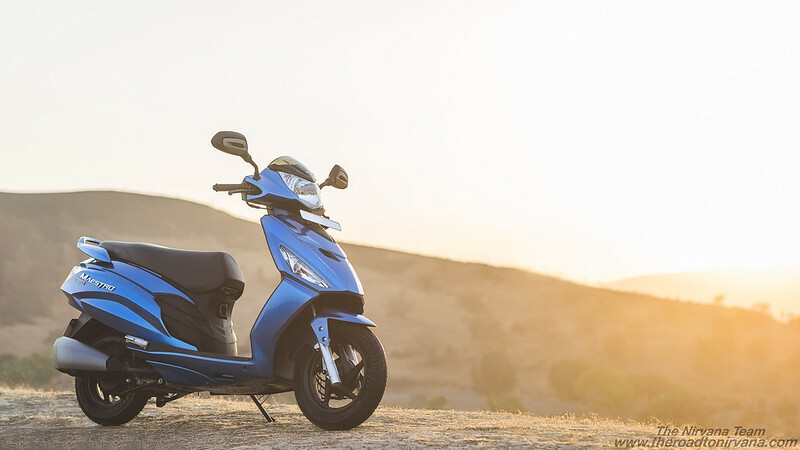 Can a scooter go off the road? Sure it can! The massively powerful Maestro Edge had no issue swiftly mounting a grassy hillock in the southern part of District Lavasa. 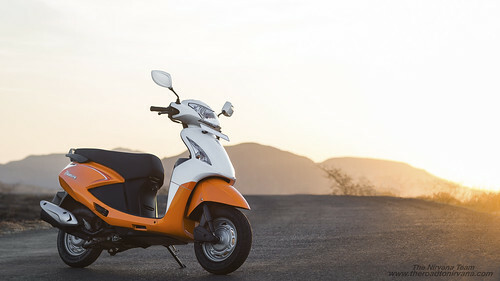 What a photogenic scooter, this! We had a ball looking at the results from this photo-shoot. 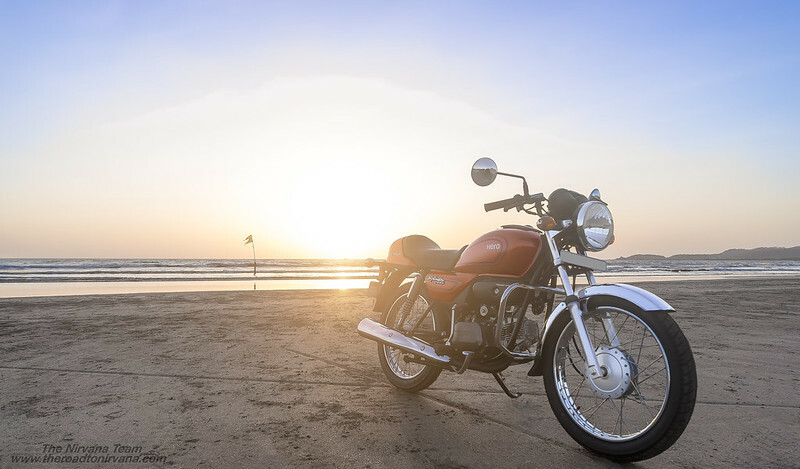 With the Karizma we head a little further up the west coast and shot the motorcycles on a rocky outcrop which would be submerged underwater every time the tide came in! Needless to say, this was a race against time as we had to get our shots and in a short time frame, with the sun setting perfectly in the background! Well, we got it! Phew! 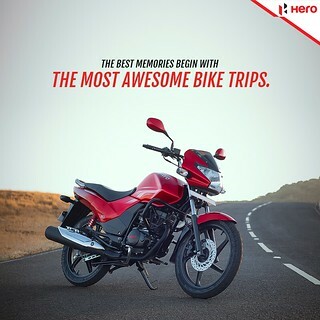 That’s just half the vehicles we shot for Hero MotoCorp on this project! Let’s move on from the shooting to the usage of the images. 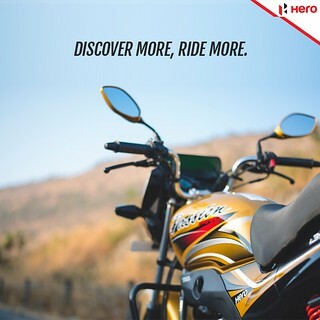 Here’s a quick look at how the images were used on Hero MotoCorp social media channels. 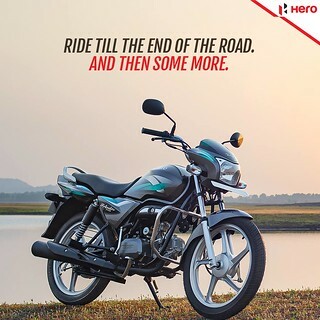 On Two Wheels with Hero MotoCorp & TheNirvanaTeam! Seen above are (from top left) the Xtreme Sports, Splendor Pro, Maestro Edge, Karizma, Passion Pro and the Achiever 150 motorcycles/scooters. 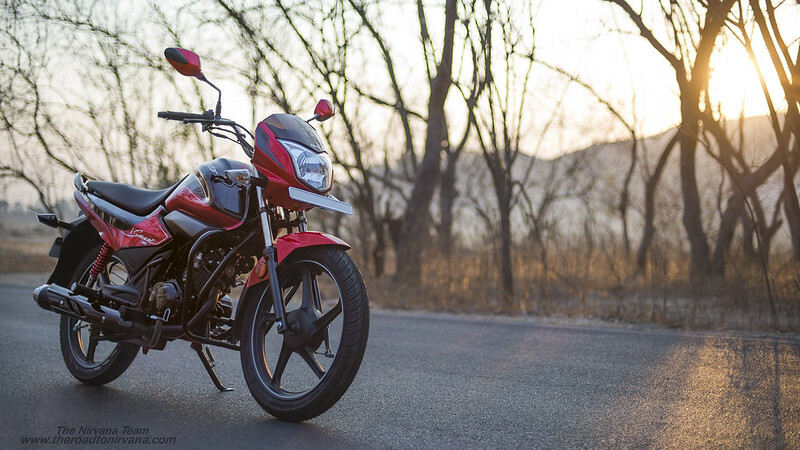 This being our first photo-shoot with commuter segment motorcycles in India, it was a steep learning curve! 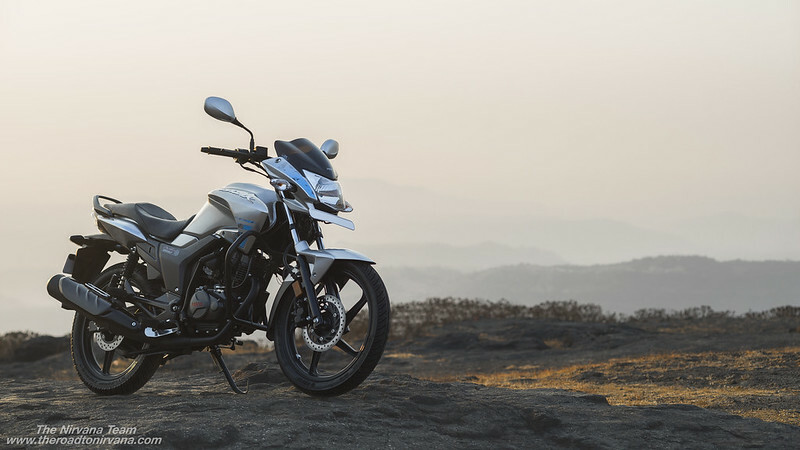 All vehicles ranged between the 100cc to 250cc category, safe to say, these vehicles form the foundation of commuter motorcycling in India. It was a fantastic experience for our entire team, planning, executing over 20 unique location based shoots and delivering content in an extremely tight timeline. 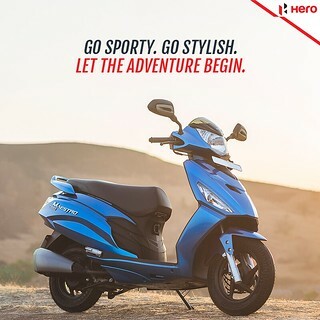 Our clients, Hero MotoCorp Ltd, their entire marketing team and their local (Pune) dealer network have been a dream to work with. We salute our “Heros” of The Nirvana Team! Kaustubh Khare: Assistant Photographer and also in-charge of keeping the vehicles shoot ready. Vivek Bhandari & Team: Logistics Expert and in-charge of vehicle transportation. Sadhana Saxena: Vehicle Security and Safe-Keeping. Vaishali Chandan: Planning and Support. Nipun Srivastava: Shoot Director, Lead Photographer and overall Team Lead. This entry was posted on September 9, 2017 by Nipun Srivastava. It was filed under Photography .